Walt Disney: "Whatever we accomplish belongs to our entire group..."
Came across another one of these construction signs that includes a quote from Walt Disney on the walls of a job site inside of WDW. I've posted two of these before including this one about deadlines and this one about curiosity. 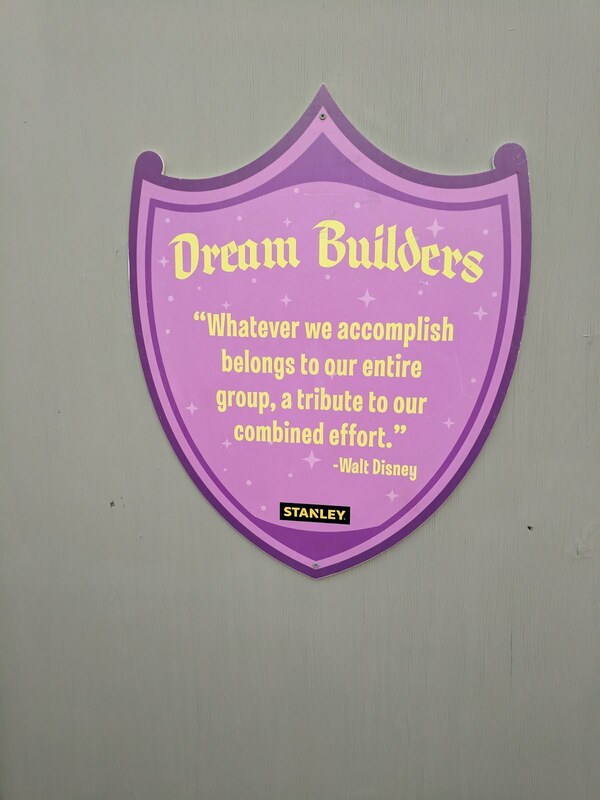 This one was on the backside of Cinderella's Castle in the Magic Kingdom in an area that I think was where the crane was located as they installed Christmas lights. Unlike those other ones that were outside of Epcot, this one is definitely Fantasyland-themed and is appropriate for the place it is hung. This one, too, is sponsored by Stanley, which I continue to think is a nice sponsorship integration for both parties.